Willkommen auf den Webseiten der 7. EST-Konferenz! Welcome to the webpages of the 7th EST Congress! As Holmes states in his seminal paper “The Name and Nature of Translation Studies”, our discipline establishes institutions and discourses around which groups of researchers gather, exchange ideas and develop new theories and models. The growing number of training and research institutions for translation studies and of journals and book series focusing on translation research, the expanding territory of expert forums and blogs on the worldwide web as well as the numerous conference announcements from all over the world are clear indications of an ever increasing interest in the discipline. Whereas initially research, teaching and theory were mainly based in European contexts, promoted under European influence and shaped according to European theoretical perspectives and translation politics, nowadays approaches to translation from different geographies all over the world have been gaining more and more ground. Besides its own ‘internal’ impetus, translation studies has also been receiving growing attention from scholars in other disciplines. 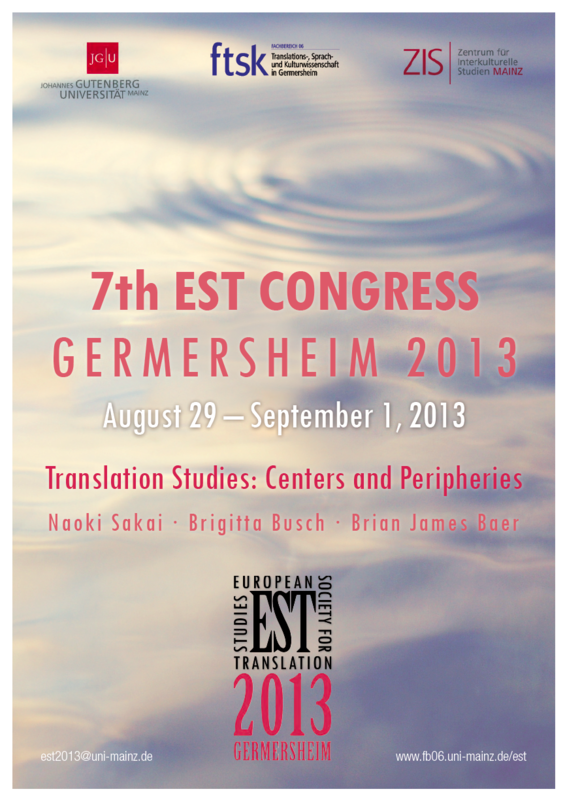 The Germersheim EST conference is designedto provide a framework for discussing centre-periphery relations within the discipline from a multifaceted angle: centre-periphery relations concerning the objects of research, the discourses of Translation Studies, and the links between Translation Studies and other disciplines.